Aunt Mary's House in Lockston was built circa 1918 for Arthur Locke and his wife, Mary. Arthur owned and operated a local saw mill on the Lockston River which flows into the Northwest Arm of Trinity Bay. The western-framed wooden structure with a mansard roof was built downstream on land adjacent to the mouth of the same river and is a good example of a vernacular interpretation of the Second Empire style popular in Newfoundland around the end of the nineteenth century. The home was associated with its long term resident, who was known in the area as Aunt Mary. Aunt Mary's House is a good example of the regional interpretation of the second empire style which was popular on the island during the early 20th century. At its peak in 1921, the community of Lockston had a population of approximately 112. The later decades of the twentieth century witnessed a severe decline in the community's population. The 1986 census return showed the population to be one. Presently the community has no residents, but does have several cabins and summer homes. The house was used as a family residence and then as a summer home until 1990. 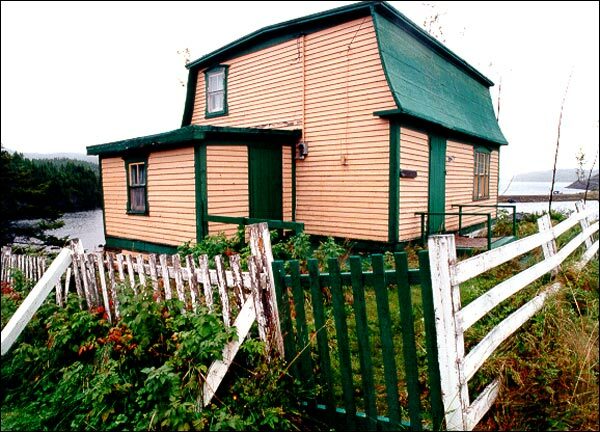 The Heritage Foundation of Newfoundland and Labrador declared the home a Registered Heritage Structure in May 1997. However, the house was later demolished. Also view the Aunt Mary's House Registered Heritage Structure (demolished) on the Heritage Foundation of Newfoundland and Labrador web site. The Newfoundland and Labrador Heritage Web Site has on its site only a portion of the registered heritage structures in Newfoundland and Labrador. To view a complete list or search for a particular structure visit the Heritage Foundation's Property Search page.